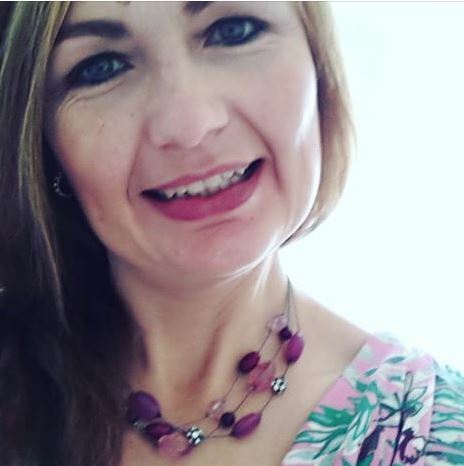 This week I am thrilled to welcome popular author Samantha Tonge to 52 Ways To Write A Novel. Samantha, why do you write? Sounds cheesy, but I always knew that one day I would write. This perhaps comes from being a voracious reader as a child. I finally got the opportunity when my youngest started school, and haven’t been able to stop since. Why do I love it? Because nothing satisfies me more than crafting words together. And whilst no one may ever read my work once I’m dead and buried, I feel as if I am leaving behind some sort of legacy... some sort of mark that I existed. I am sure that nagging desire to leave something behind is what drives many writers. So what is your preferred field as a writer? And is there anything you'd like to write that's outside your comfort zone? I adore writing romantic comedies, the words just seem to flow onto the page, I think it is my natural voice. But yes, at some point I might want to challenge myself to try something different. I have got an idea for a YA thriller. YA is a very challenging genre, I've found, not least in terms of finding the right readership for your books. But it can also be one of the most rewarding areas to work in as a writer, perhaps because fans are more likely to reach out to you on social media or really engage with your work among themselves. I wish you luck with that. Now, back to the interrogation! Could you describe a typical writing day for us? Any routines/techniques you habitually prefer or tricks for getting yourself in the zone? I am lucky to write full-time from home, so usually I am behind my desk, after my cycle ride, at about 7.30 am. At about ten I realize I need to bath and breakfast, and then domestic duties allowing (!) I can more or less continue for the rest of the day. I do need quiet to get into the zone – and the power to resist social media. I adore Twitter, Instagram and Facebook, and tell myself far too often that I am on there “for work”! Well, we all need to network and promote our books on social media. What do you fear most in terms of writing or being a writer, Samantha? Not selling. The most important thing to me as a writer, above improving my craft or making money or earning a reputation, has been to reach an audience, reach readers – if you aren’t doing that, what is the point? So I am very broad-minded about taking my editors’ viewpoint on board when they suggest what might need doing to suit a particular market. I’ve never been interested in just writing for myself. So what would go in your Room 101 where books, writing or writers are concerned? Especially if you are a digital-first author like me, you need to promote your work to gain visibility, to gain readers as you aren’t in shops, on bookshelves. I am lucky in that I love social media, and I know how hard it is for some authors who really don’t. It’s an on-going battle, I feel, for the modern author, to embrace promoting and creating a brand. There is nothing sadder than a book bombing because it just hasn’t been advertised enough. Not that promotion is everything – obviously the story, the writing, has to be good and connect with readers, But at least promoting your work gives it the chance to be read. Do you think all writers are basically anarchist, disruptive types or harmonizing influences? Please show working-out. Ha ha! No comment. Okay, one comment. I think we are all bonkers. And in my case, you would be right. Talking of writer insanity, are you Nanowrimo-ing this year? 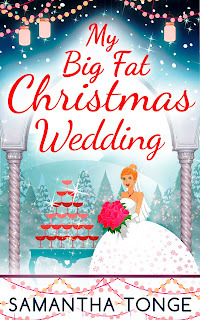 No, I am too busy promoting my Christmas book – but best of luck to everyone who is! Now to promote your work. Which book or books of yours should we be reading, and why? 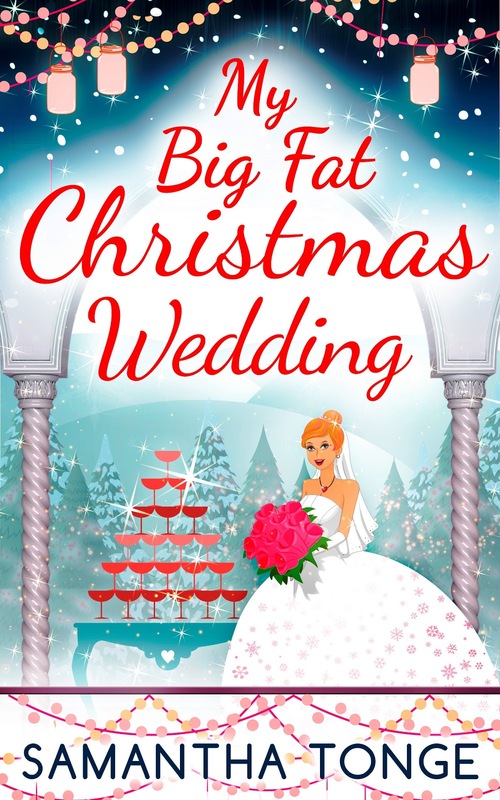 My Big Fat Christmas Wedding is currently only 99p and bound to add a bit of sparkle to your festive season! Perfect for fans of Lindsey Kelk and Debbie Johnson. 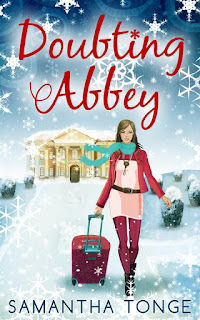 My debut Doubting Abbey is also at a great price and might blow those blues away if you are missing Downton after the finale! 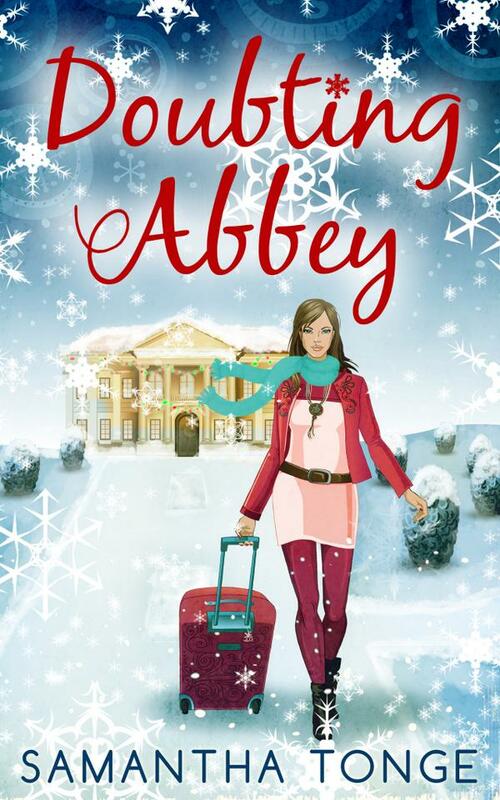 Also Mistletoe Mansion is currently available as a paperback (as is Doubting Abbey) in The Works stores, only £1.99! They all sound fabulous and astonishingly good value! Thanks so much for agreeing to be on 52 Ways, Sam. Hi Terry, yes, i have huge pre-publication nerves too. Thanks for the complimnents, that is kind .. and I am so in awe of how prolific you are. Sales mean everything to me because it means I am reaching readers and that is all I have ever wanted.